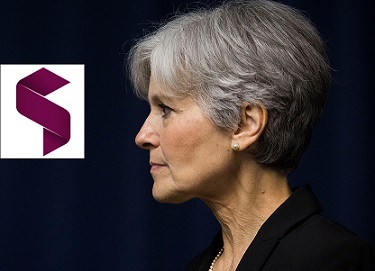 On Wednesday Jill Stein successfully engaged the Wisconsin board of elections in a recount. The Green Party managed to raise the necessary funds to pay for this effort and have raised a total of $5.2 million so far to include Pennsylvania and Michigan. This is despite attacks from Donald Trump as well as liberal elements of the media. Slate magazine ran a hit piece listing seven reasons why people should not donate money and the Washington Post rolled out the old conspiracy theorist mantra on Greg Palast while claiming that machines can not be hacked from afar. The Washington Post also consistently unreported the fund raising totals by more than a million dollars to make the effort look weak. As of this morning Wisconsin has suddenly raised the price of a recount from $1 million to $3.5 million. Then the game changed when it was clear that Stein would move forward in multiple states and support was coming from Democrat voters hoping to somehow overturn Trump's electoral majority. The Democratic Party was at first muted and then focused on their Neo-Macarthyte narrative that their may have been outside interference from Russian Hackers. Despite the Washington Post running a piece of speculative fiction of the type that passes for news there since former CIA director George Tennet negotiated it's sale to Jeff Bezos for the exact amount the CIA paid Amazon for a cloud computing contract in 2013, there has been little hype after the election. The Washington Post, which illegally fund raised for the Clinton Campaign is that the center of the hype on the so-called fake news from Russia non-issue, parroting calls for internet censorship, which would have been scandalous for any newspaper's editorial staff until recently. Could the Russian's have hacked the election? The security of election technology is very weak and many products are built with multiple vulnerabilities that any party with sufficient resources can intervene in an election. There are two elements of a properly hacked election. Those elements are machine tampering during the election and voter suppression prior to the election. Stein's lawsuit seeks to prove the machine tampering. The Mockingbird has documented that both major parties engaged in voter suppression either during the primaries (Democrats) and during the general election (Republicans). The Democratic party failed to oppose voter suppression efforts by the Republicans in Indiana and Virginia at least. The lost electoral votes in those states by failing to defend the basic citizen rights of their base. A key vulnerability that leads to both kinds of intervention comes through new electronic poll books. Both major manufacturers of electronic poll books, Electronic Systems and Solutions (ES & S) and SOE Software (A Scytl Company, normally just called Scytl) work together and are essentially selling the same product. ES&S licenses SOE's software and performs integration with statewide voter registration databases. Both companies products are essentially Android tablets running the most vulnerable version of the Android operating system which has been ungraded everywhere but on these machines. This author has documented how the system is vulnerable to voter suppression efforts in a previous article. On election day, you procede to the table, get looked up in the database via the poll book, verified and then your “ballot style” is transmitted to the actual voting machine via bluetooth. Ballot style refers to your ballot, which based on your age (in some jurisdictions people under 21 can not vote on alcohol related local referendums for instance) and precinct contains only the things you can legally vote on. This lookup system also contains the last time you voted. If you voted in a primary it therefore knows your party affiliation. Thus it can know with reasonable accuracy your party affiliation and interfere with the voting machine directly based on this information. Additionally that transmission of the ballot style is vulnerable to attack from any blue tooth enabled device in the room, such as a cellphone in someones pocket or purse. The cellphone can be connected to a network remotely while carrying out this attack and thus massive computing power can be brought to bear if needed. The level of security on the transmission, as well as the communications between the poll books is trivial to anyone with the financial resources. Any election in any state that uses these products can be intervened in for about $100,000. If election fraud in Wisconsin is proved the list of suspects starts with any person that can borrow $100,000 and program a computer. The list of suspects narrows if one looks at the data that the Stein team is basing their accusations on. Their premise is that there is a statistical difference between counties with voting machines that have a paper trail and voting machines that do not. Those places where there is no verified paper trail there is a bias. This narrows the list of suspects to people who had access to the central tabulators and to the voting machines themselves on a county by county basis. Thus, the intervention was likely to have been carried out by either the manufacturers, the distribution company that sells them (in this case located in St. Cloud Minnesota literally across the hall from Michelle Bachman's office) or the county boards of elections themselves. County Boards of elections are partisan entities with officials from both parties on all of them. The Clinton Campaign has zero interest in challenging the results unless they can involve the Russians. Hillary Clinton, and the center-right wing of the party she represents want stability. If there is a discrepancy proved by Stein's recount effort, they will blame the Russians in the absence of proof in order to direct blame for their election loss out of the country and towards their new cold war election strategy.